The Yours chairman’s wife giving Mei Mei a chance that led to a contract for the product is due to the efforts of Ji Wen Kai. “It’s thanks to your own efforts as well as a certain person who has always had faith in you,” the chairman’s wife says to Zhong Yu Tang during their meeting. This was in response to Zhong Yu Tang thanking the chairman’s wife for having faith in their product. Ji Wen Kai is the person the chairman’s wife was referring to. 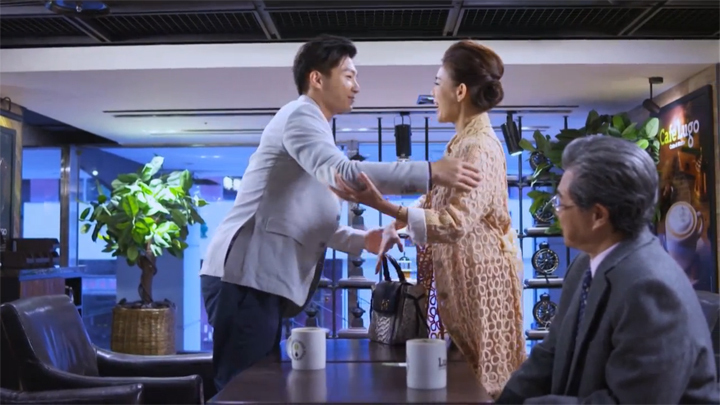 The chairman’s wife—or Ping-jie as Ji Wen Kai calls the Yours chairman’s wife by—was present in the meeting Ji Wen Kai had with Chairman Luo (Episode 5). Ji Wen Kai had invited Ping-jie for a catch-up—a catch-up Ping-jie had seen as having the purpose of getting feedback on the egg shell skin rejuvenating product Ji Wen Kai seemed to have given her to try and not the catch-up that Ji Wen Kai had explained as having been too long since he has seen her and missed her. 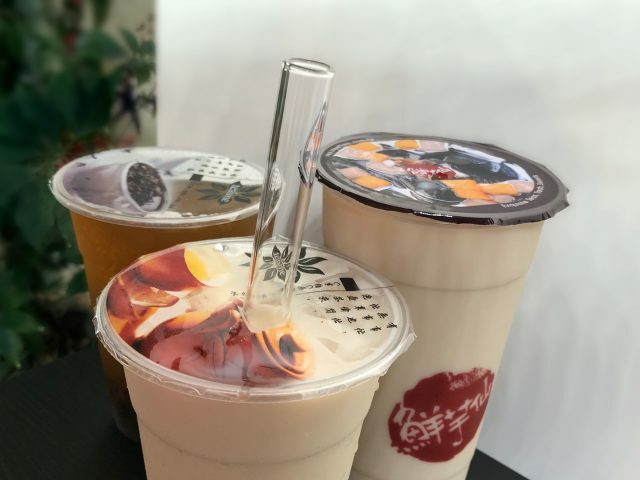 The topic of Mei Mei was brought up in their conversation when Ping-jie recognised the name, Zhong Yu Tang, on Zhong Yu Tang’s business card that was lying on the table. After Ping-jie answered Ji Wen Kai’s curiosity of how she knew the name Zhong Yu Tang, (Ping-jie encountered Zhong Yu Tang on the day Zhong Yu Tang was on the streets giving out samples of Mei Mei), Ji Wen Kai asked Ping-jie whether she has tried using the beautifying soap she sampled. 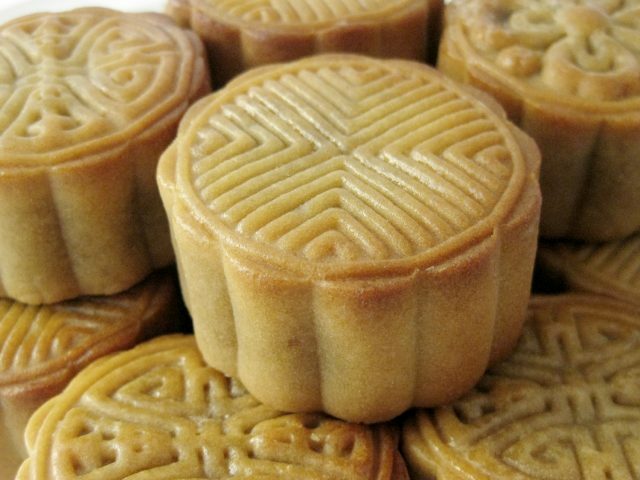 Ping-jie’s answer told she hadn’t given Mei Mei a try with a response that expressed Mei Mei as being an aged product—a product she was unsure about being able to use such a product in such time as the present. Ji Wen Kai explained to Ping-jie that the company was built up from Mei Mei and Mei Mei is a classic of classic products. She should give Mei Mei a try in the evening when she has the time. “Do you have that much faith in Mei Mei?” Ping-jie asked Ji Wen Kai. “I have faith in her,” Ji Wen Kai responded to Ping-jie, gesturing to Zhong Yu Tang’s business card as he said it. Zhong Yu Tang, on the other hand, thinks it’s Wang Zi Yu who helped her in getting Ping-jie to agree to sign a contract with them. Both Ji Wen Kai and Wang Zi Yu visit Sales Team 3. They visit after Zhong Yu Tang gives her colleagues the good news of Yours agreeing to sign a contract for an order of two boxes each month for the two-thousand-plus stores Yours has nationwide. Wang Zi Yu’s visit to Tianxi Group is to discuss about his wish for Sales Team 3 to take charge of the collaboration work between Shinway Biotechnologies and Tianxi Group—a desire that Ji Wen Kai doesn’t agree with because he has his own arrangements for this team of his and the decision to which sales team in Tianxi Group will be in charge of their collaboration work is to be decided by him (Sales Team 1 and Sales Team 2 are the teams Ji Wen Kai decides to assign to handle their collaboration work with Shinway Biotechnologies). Meanwhile, Ji Wen Kai’s visit to Sales Team 3 seemingly was to reward Zhong Yu Tang with shaved ice at Uncle Wang’s (Zhong Yu Tang’s best friend’s father’s) shop. Before arriving, he told Miao Ai Sha to reschedule the things he had on today to do so. He never gets around to rewarding Zhong Yu Tang with shaved ice at Uncle Wang’s shop seemingly because Wang Zi Yu’s presence had made him change his plans. It seems to have changed after watching Zhong Yu Tang thank Wang Zi Yu for his help with Yours —”Last time, I heard you call Chairman Luo, ‘Uncle’. So, when Sister Ping mentioned, ‘a certain someone’, that would be you, right?” Zhong Yu Tang doesn’t pick up the questioning tone Wang Zi Yu used to ask, “Ping-Jie?” or even answer it. She carries on expressing her thanks to Wang Zi Yu. Ji Wen Kai was taken aback and pensive when Zhong Yu Tang didn’t give him the chance to respond to her report on successfully getting Yours to sign the contract with them, switching her attention to Wang Zi Yu to thank him immediately after she finished. But Ji Wen Kai smiles to himself when Zhong Yu Tang mentions Ping-jie—possibly satisfaction from hearing a confirmation of his help being the one that indeed helped her and not the help that Zhong Yu Tang speaks of and thanking for at this present moment. He lets the conversation between Wang Zi Yu and Zhong Yu Tang continue. He listens to Wang Zi Yu commend Zhong Yu Tang’s outstanding effort of being able to get the contract signed so fast and congratulates her. He listens to Zhong Yu Tang express her gratitude again for the amount of help he’s given her that had made her successful. Ji Wen Kai invites Miao Ai Sha to have shaved ice with him. There is indication Zhong Yu Tang is the person Ji Wen Kai liked in high school. Miao Ai Sha finds Ji Wen Kai returning back to the office early and wonders why after he said to reschedule everything to go have shaved ice. He doesn’t say that it’s that he had gone to Sales Team 3, unexpectedly found Wang Zi Yu there and made him change plans and had him spend some time talking to Wang Zi Yu outside the entrance—a talk that was more a battle between love rivals than politeness and consideration between businessmen as they discussed how they should conduct their meetings and talks about their collaboration work in the future (the presence of the other before Zhong Yu Tang at Sales Team Team 3 seemed to have ruined each of their plans to see her). Ji Wen Kai simply makes it appear as if he just remembered he had wanted to eat shaved ice and it was with her he had wanted to invite when he makes up the explanation of seeing eating shaved ice as the perfect thing to do during happy times. He tells Miao Ai Sha to follow him to go have some. Ji Wen Kai only gives an uncomfortable smile and continues to eat his shaved ice. But Miao Ai Sha’s question brings about a flashback providing an answer. 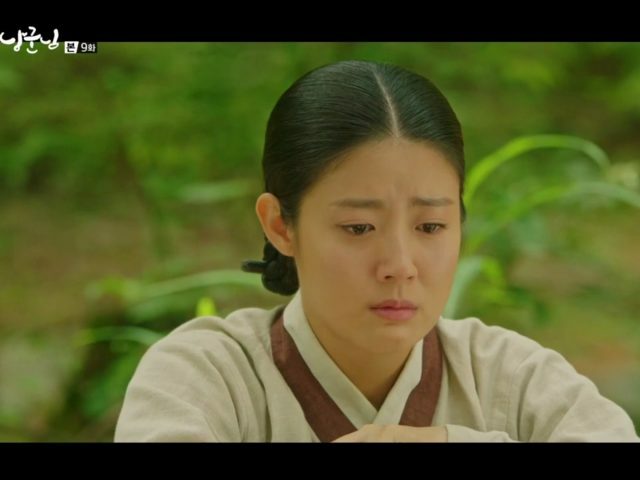 We come to a flashback showing the moment before the scene of Ji Wen Kai running after Zhong Yu Tang riding on her bicycle and broadcasting his confession to the neighbourhood that we have seen already. 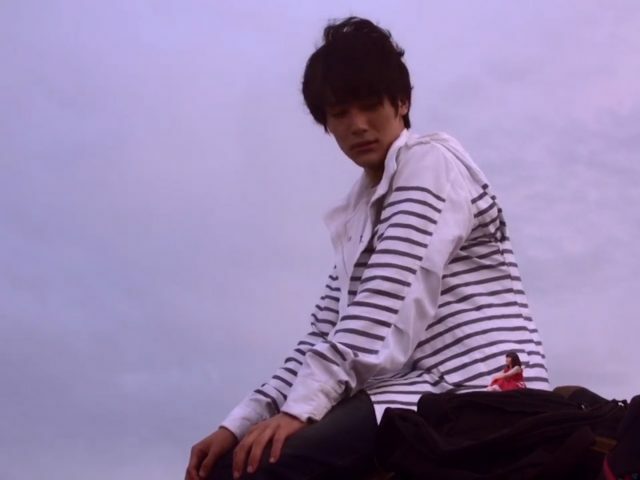 In this flashback, we see Ji Wen Kai listening to a recording of himself on his recorder stick giving himself encouragement to confess to the person he liked. Zhong Yu Tang is seen in the background, fiddling with her long ponytail as she wonders what Ji Wen Kai was doing sitting by himself on the bench ahead of her. 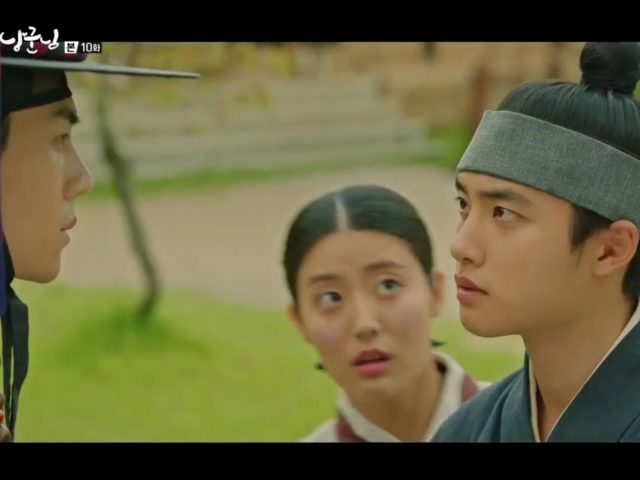 She goes up to Ji Wen Kai, intrudes, and asks what he’s doing. Ji Wen Kai only repeats the question that Zhong Yu Tang had asked him—shocked by her sudden presence. Zhong Yu Tang sees an opportunity to grab the recorder out of Ji Wen Kai’s hands when he gets stumped by her response to his question: “You’re not the only one who’s allowed to come here.” His recorder stick is yanked out of Ji Wen Kai’s hand and Zhong Yu Tang puts it up into the air as high as her arms extended. A fight for hold of the recorder stick sees the recorder suddenly play and reveal to Zhong Yu Tang the contents of the recording in his recorder stick. The contents of the recording surprises Zhong Yu Tang to stillness. Her reaction allows Ji Wen Kai to take his recorder stick back into his hands and stop it from playing further. He calls Zhong Yu Tang rude. Zhong Yu Tang gives him advice: “You should confidently go confess to the girl you like. You are being so awkward. You even used a recorder stick as well.” She then offers her help: “I’m thinking you don’t have the guts to let her hear it, right? How about I help you say it?” Zhong Yu Tang grabs the recorder stick and runs. 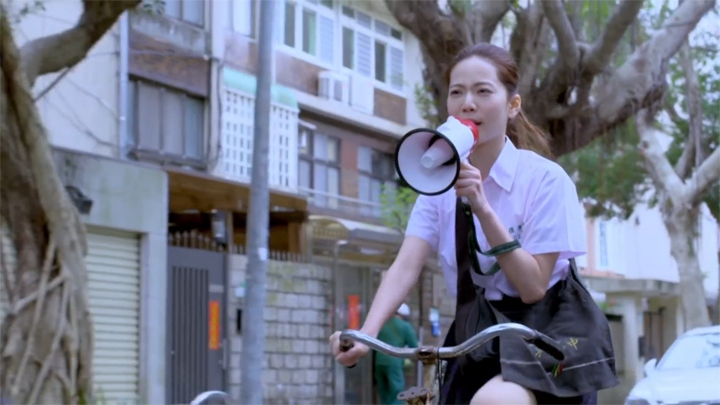 After this point, we come to the scene we have seen before: Ji Wen Kai runs after Zhong Yu Tang riding on a bicycle with his recorder stick dangling on one of her bicycle handle bars and announces to the neighbourhood with a megaphone of a confession about to take place. The flashback seems to indicate the person Ji Wen Kai had liked in high school was Zhong Yu Tang and seemingly still likes now. For successfully getting a contract with Yours, Ji Wen Kai gets Miao Ai Sha to book a reservation at an extravagant restaurant for a celebration meal in the weekends. Come the weekends, it gets moved to Meng He’s house. Meng He’s colleagues have been concerned with the cold she’s been displaying to have at work. When Chen You Rui suggests for them to head to a place with chicken soup for lunch to remedy Meng He’s cold, Meng He tells him and the others that they should keep work and private life separate. Meng He has this attitude when Zhong Yu Tang and Huang Jia Yin calls her at home to check that she is better. Meng He tells them to not worry about her like they were friends because being colleagues doesn’t equal being friends. She continues this view towards the celebration gathering in the weekends when she becomes hard to reach at her home phone. It takes Zhong Yu Tang and Ji Wen Kai taking a detour from heading to the location of the celebration to Meng He’s home and putting on a show of barging their way through the door because they feared she was unconscious before Meng He appears before them. Meng He’s reluctance to see her colleagues as friends comes from experiencing her friends leaving her one by one until she became alone in her apartment with only her cat she refers to as her son. But, Zhong Yu Tang and her other Sales Team 3 colleagues break down her defenses bit by bit until she accepts them. They first invite themselves into her place. They cook their celebration food together before they have a chat in the lounge. The chat in the lounge sees Meng He’s colleagues tell Meng He that circumstances may change, but memories will always remain. They each tell a good memory they have of her. This brings Meng He closer to accepting her colleagues as friends. It’s when they tell Meng He that they will be her family that finally moves Meng He. It brings her to well up with tears. 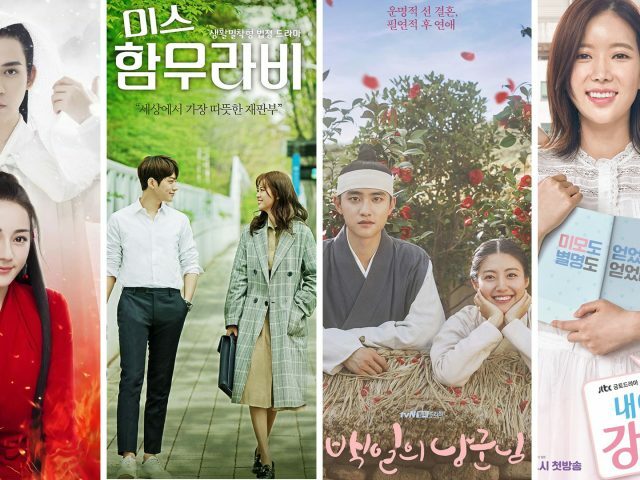 Ji Wen Kai and Zhong Yu Tang dream the same suggestive dream after a night of people seeing them as a well-matched couple and after a middle-aged man predicts the two to kiss within a month. After the celebration gathering at Meng He’s place, a suggestion from Meng He for Ji Wen Kai to accompany Zhong Yu Tang in recycling the empty bottles from the gathering to the recycling bins sees Ji Wen Kai and Zhong Yu Tang meet a middle-aged man of the neighbourhood, described by Meng He as a master fortune-teller, who mistaken them as a newly-wed couple. He appears after a bickering takes place between Ji Wen Kai and Zhong Yu Tang that had eventuated from the two letting go and dropping the empty drink bottle they both held onto at the same time and getting annoyed at each other for dropping it. Both Ji Wen Kai and Zhong Yu Tang tell the middle-aged man they’re not husband and wife. Though the middle-aged man realises he’s made the mistake thinking they were husband and wife, he tells Ji Wen Kai and Zhong Yu Tang they have a face of a couple with both of them having similar facial features and complimentary personalities that look to be well-suited in career and in life. “Just looking at you two, you are made for each other,” he says to them. He then tells them that even if they aren’t together now, they will end up being together and predicts that not even a month passing they will kiss. It’s awkwardness between Ji Wen Kai and Zhong Yu Tang in the car ride home. 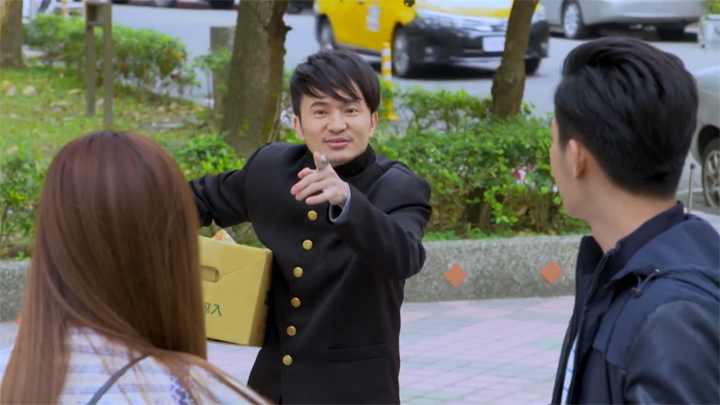 Ji Wen Kai takes many attempts to begin telling Zhong Yu Tang to open the glove compartment to give the squid pieces he had for her—squid pieces that he says were left by his friend; and Zhong Yu Tang is a little too speedy and excited in her response when she come in before he even manages to get the first couple of words out to his sentence. 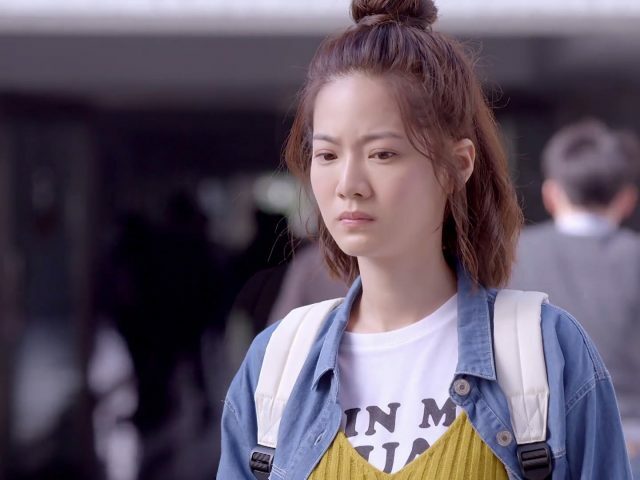 Zhong Yu Tang is also seen averting eye contact when Ji Wen Kai’s innocent sweep of the eyes towards her shocks her after she thanks Ji Wen Kai for the squid pieces. The awkwardness Zhong Yu Tang feels passes onto Ji Wen Kai: he also averts his eyes. He then awkwardly explains his innocent sweep of the eyes as just that—an innocent sweep of the eyes that he had no meaning by it and asks Zhong Yu Tang to not misunderstand. Both soon return back to normal after they talk and convince themselves that the middle-aged man who’s described as a master fortune teller is simply a fraud. 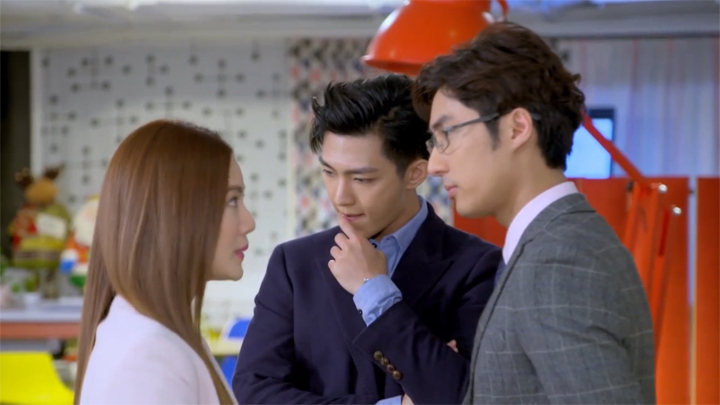 Zhong Yu Tang and Ji Wen Kai experiences another round of others seeing them as a couple when Zhong Yu Tang asks Ji Wen Kai to stop by a cell phone store. She wishes to buy a cell phone for Meng He to update Meng He’s old one that has no capabilities of going on the Internet as well as allow her and the others to reach her easier. “Are you looking for couples phone?” is the first thing the shop attendant says to Zhong Yu Tang and Ji Wen Kai. When Zhong Yu Tang and Ji Wen Kai select the same phone, the shop attendant comments on the two having a great relationship when they displayed themselves as being very in tune with each other. And when Zhong Yu Tang and Ji Wen Kai take a picture on the phone to check out the camera, the shop attendant comments on how much they suit each other. 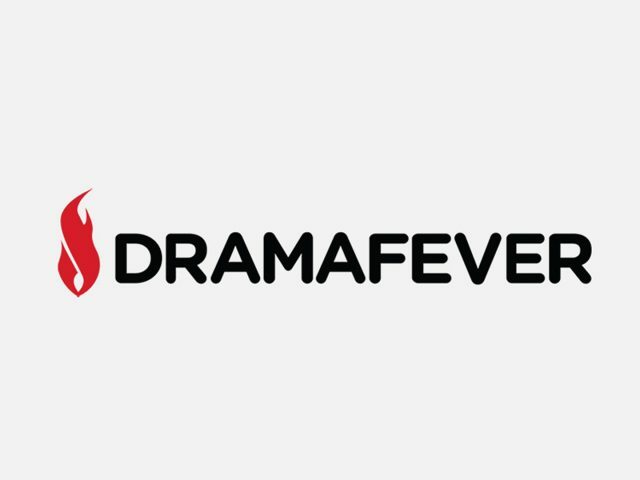 The night of people telling Zhong Yu Tang and Ji Wen Kai how well they suited each other as well as the middle-aged man’s prediction of a kiss taking place between them within a month appears to have greatly affected them both when they both dream about each other and dream the same dream. This dream Zhong Yu Tang and Ji Wen Kai dreams consists of an ordinary scene in the morning before work at Ji Wen Kai’s house. 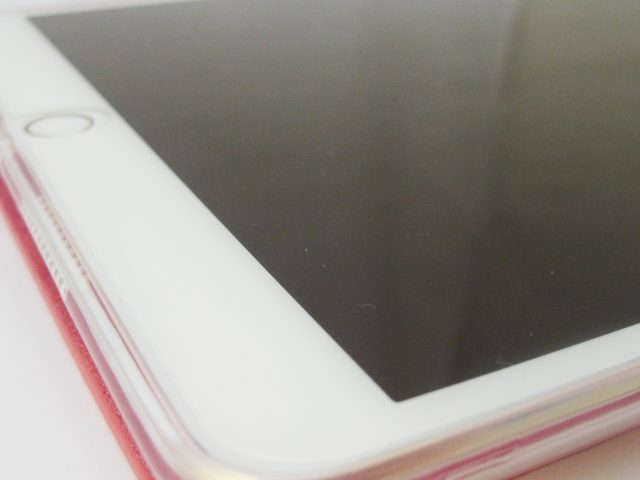 He sits at the table reading on his tablet as he waits for Zhong Yu Tang to serve his breakfast. 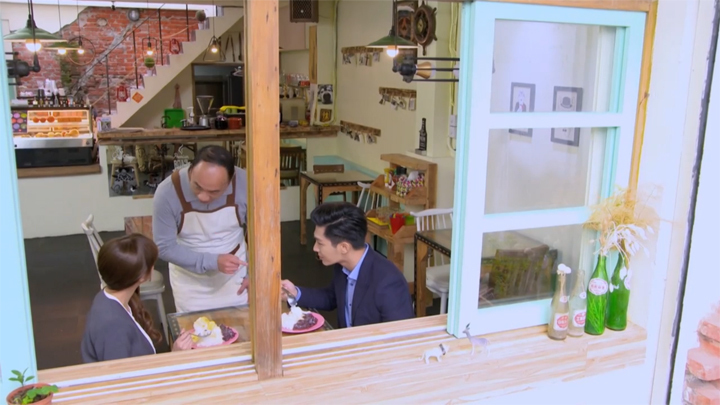 Things become different when hand and fingers touch upon Zhong Yu Tang handing Ji Wen Kai his mug of hot drink. Ji Wen Kai motioning to bring the mug to himself brings them to touch. The scene becomes tender when Ji Wen Kai smiles and stands up from his seat. He delicately takes the mug into his hands and puts it onto the table. Ji Wen Kai then takes both of Zhong Yu Tang’s hands. He gives Zhong Yu Tang an affectionate gaze before he leans forward towards Zhong Yu Tang to kiss her. After the dream, both Ji Wen Kai and Zhong Yu Tang become wary of moments of contact, closeness and eye contact between them. Both remember the dream they had the previous night during breakfast. The scene is a mirror of the one in their dream. 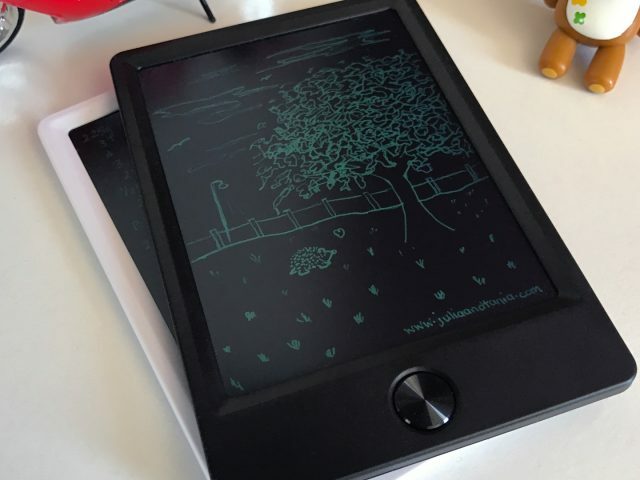 Noticing the similarity of the scene, Ji Wen Kai switches out his tablet for a magazine. He edges away slightly and keeps the magazine he has in his hand rolled up by his shoulder in a stiff manner when Zhong Yu Tang serves him his breakfast on a tray. Zhong Yu Tang shows discomfort in her eyes with eyes that looked to have difficulty keeping it on the immediate area around Ji Wen Kai. She is also unusually meek. 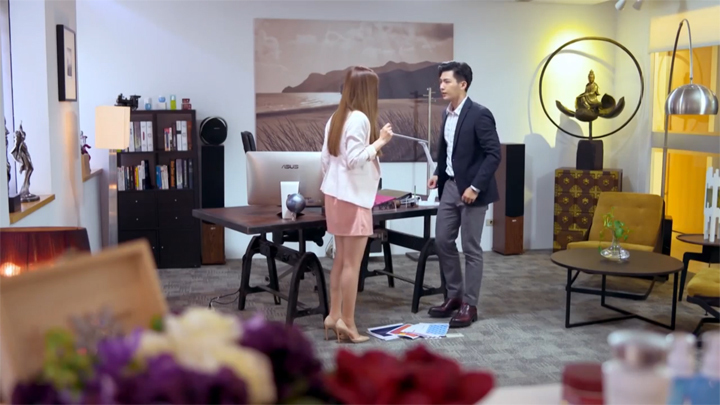 When Zhong Yu Tang brings Ji Wen Kai’s mug of hot drink to him without looking, she knocks it into the magazine Ji Wen Kai was in the midst of putting down onto the table: both Ji Wen Kai and Zhong Yu Tang move to stabilise the mug. Hand and fingers touch just like in the dream. But unlike in the dream, Zhong Yu Tang lets go and tells Ji Wen Kai she will go check a cabinet she hasn’t checked yet for any jars of chocolate spread she hasn’t opened yet (A moment prior to this happening, Ji Wen Kai queried why Zhong Yu Tang had spread his two slices of breads with a third chocolate spread and two-thirds peanut butter and she explained they ran out of chocolate spread). At work, when Zhong Yu Tang goes to Ji Wen Kai’s office to ask for a budget to re-brand Mei Mei so to allow the product to appear new so to attract young people, Zhong Yu Tang falters under Ji Wen Kai’s firm and steady stares and is wary of her lost of composure. Ji Wen Kai, however, appears fine. He is like his normal self when he tells Zhong Yu Tang that they must come up with the funds for a re-branding if they wish to do a re-branding as the company’s budget has already been outlined and cannot make room for a sudden one. But both become affected when Ji Wen Kai has a file folder for Zhong Yu Tang. When Zhong Yu Tang takes hold of it and her hand and fingers could not avoid, but touch with Ji Wen Kai’s from the lack of a free area, both drop the folder from the electrifying touch. When both bend down to pick the folder, they come face-to-face at close proximity. Their gazes meet each other. 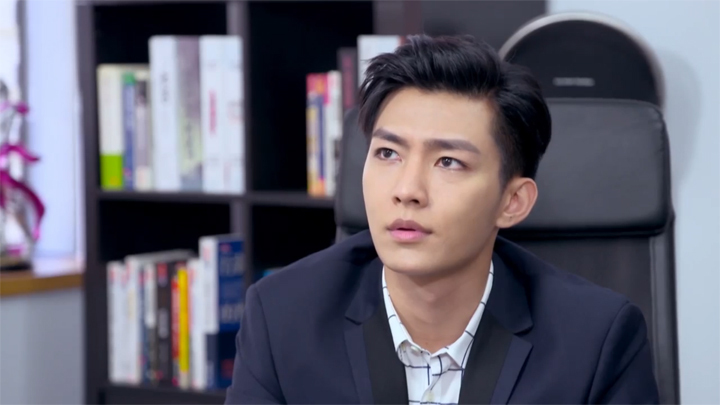 There was a lot to love about this episode with the story getting there, focus on a Sales Team 3 character that we had hoped to take place, and the interactions between Ji Wen Kai and Zhong Yu Tang were extremely good in this episode! We really liked Meng He’s story. It was sad and we love that Meng He came around and accepted her colleagues as her family. It really was great character development for Meng He and we definitely found it very interesting. It filled the episode very well. 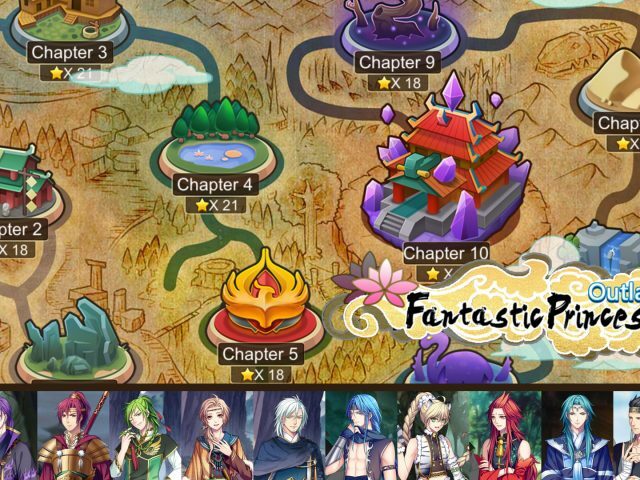 We hope to see the next Sales Team 3 character to have a story just as interesting as Meng He’s one. That scene at the end of the gathering, the one where Meng He, Ji Wen Kai and Zhong Yu Tang stands at the door with Meng He telling Ji Wen Kai to accompany Zhong Yu Tang in the recycling of the bottles and whatnot, we found it so interesting how Ji Wen Kai just followed Meng He’s sort-of-order to go do the recycling with Zhong Yu Tang just like that. Of course, we can see that he listened to Meng He’s so easily probably because he wanted to; Meng He’s suggestion meant more time he can spend with Zhong Yu Tang! But it was entertaining seeing Meng He looking like someone who can boss Ji Wen Kai when he’s regularly seen commanding and demanding and Meng He (and everyone else in Sales Team 3) cowers under his commands and demands. It’s an interesting scene that made Ji Wen Kai really cool for taking the sort-of-order from his subordinate. The whole situation with Meng He gave a good setting for all of the awesome Ji Wen Kai and Zhong Yu Tang scenes. From Ji Wen Kai and Zhong Yu Tang working together to get Meng He to come out of her house, the peeling of the beans when they were cooking the celebration meal to the trip to the cell phone store—they were all very great scenes for the two. Unlike the big moments that we’ve seen in the previous episodes that came across as unnatural and forced, the scenes for the two in this episode flowed and mixed in amongst the story of Meng He very well and made them all very fun to watch. We actually always find these types of small and subtle relationship development scenes that filter through the main plot/action so much more interesting than a littering of ones that come at us with the sole purpose of romance and fluff. An episode with these small and subtle relationship moments makes the rare big ones stand out and make them that much sweeter and aww-worthy. That’s why we loved the dream sequence. It was so fun to watch. We actually didn’t realise it was a dream. There was nothing to suggest it was a dream. There wasn’t the fuzzy borders or the colour overlay. We thought it was in the present and real up until Ji Wen Kai stood up. That’s when we knew something wasn’t right and understood that what was happening was all a dream. And the moment at the end was also cool and fun to watch! It was good because the moment before, Zhong Yu Tang was the only one still having the dream in her mind and being affected by it while Ji Wen Kai acted and looked like his normal self, looking like a CEO with no hint of being affected by what he dreamt of last night. Seeing Ji Wen Kai catch up to Zhong Yu Tang made that end moment between the two a really good cliffhanger. It just makes us want them to go there and kiss! Haha. But, we think we might like it to continue on like this for a bit more where they get close, but never get there. 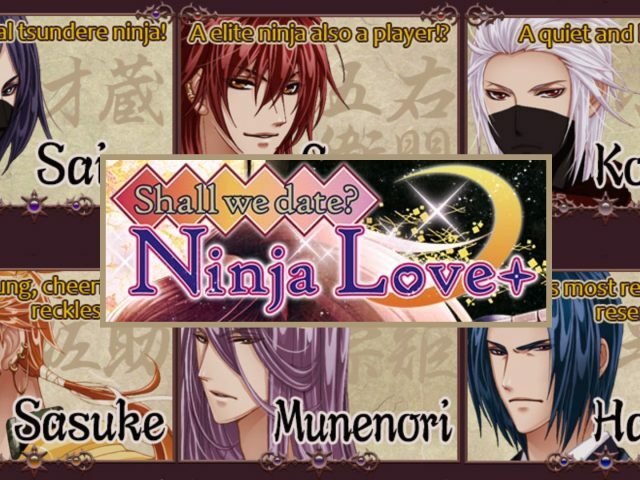 Otherwise, Miao Ai Sha and Wang Zi Yu would have no purpose. We don’t like main characters to be redundant. Miao Ai Sha had a considerably less amount of focus in this episode. The shaved ice scene was the major scene for her. There was also that very small scene near the end that showed her trying to get Ji Wen Kai to notice her wearing his birthday gift as she handed him some folders. But Ji Wen Kai didn’t notice it at all. We are pro Zhong Yu Tang and Ji Wen Kai, but we still feel for Miao Ai Sha. We do wonder if Miao Ai Sha will be given a situation where she will become a strong love rival to Zhong Yu Tang. Right now, she’s really safe. She’s really professional and not showing any hint of a fight for Ji Wen Kai (unlike Wang Zi Yu and Ji Wen Kai who seem to be really going at their competition for Zhong Yu Tang, but just in a very civil way :oP :oP). 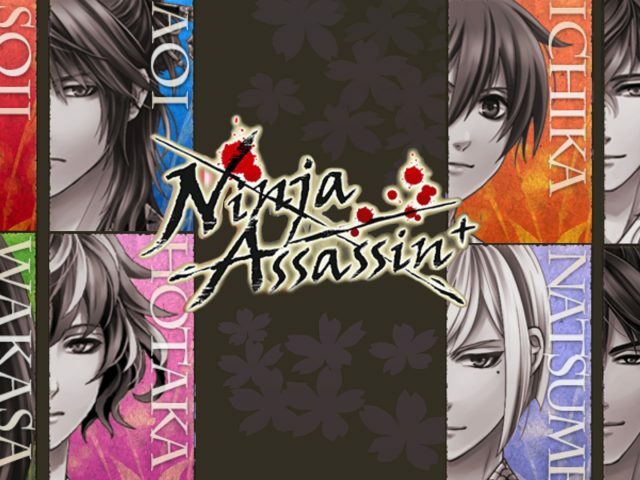 There were some new developments for the main plot in this episode. There was the declaration of a competition from Sales Team 1 with some person from Sales Team 1 along with a few others appearing before the members of Sales Team 3 in the reception area. We know Sales Team 3 will continue to handle Mei Mei and Sales Team 1 was said to be handling Wang Zi Yu’s company. But we aren’t sure what sort of a competition they’ll have that can bring some good drama in. There’s the new fact of Wang Zi Yu being the heir of Shinway Biotechnologies. 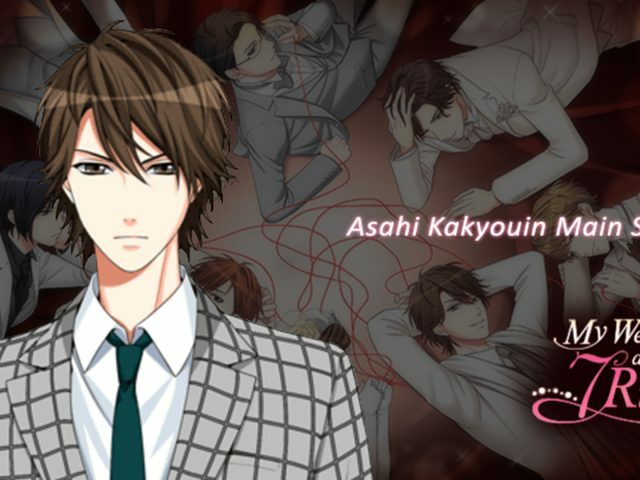 In the last episode, he was just introduced as the Executive Secretary of Shinway Biotechnologies. But we now find out he’s much more important and holds an identity much higher than what he was previously introduced as having. The series keeping this fact hidden until this episode—we’re wondering how this will fit into what’s been developed. Will it create an important situation in the main plot later on or just simply to give Wang Zi Yu the title to make him even more perfect and desirable so to say how much more inferior Ji Wen Kai is compared to Wang Zi Yu? The series is giving out little by little that there isn’t much telling us what’s coming. We don’t have an ounce of idea where the series could be heading. So, at this point, the series still doesn’t make us anxious for the next episode. It’s still, ‘Let’s see what the next episode brings’. But this episode was definitely a good one. We hope the next one will be fun and good to watch just like this one!